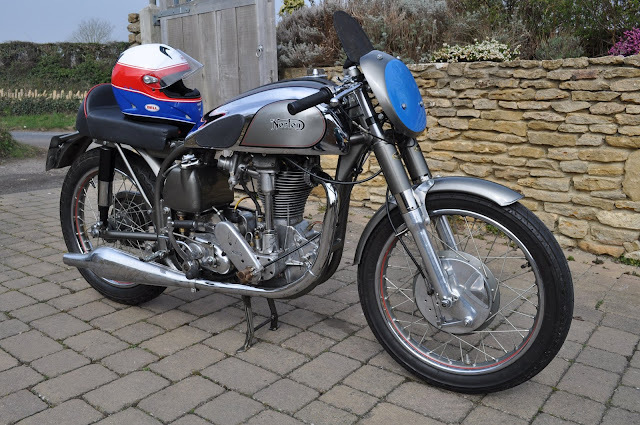 Beautifully made magnesium and alloy brakes as fitted to the Norton Manx, Aermacchi, Morini and Ducati's of the 1960s. "More world champions have worn Bell Helmets than all other helmet brands combined. 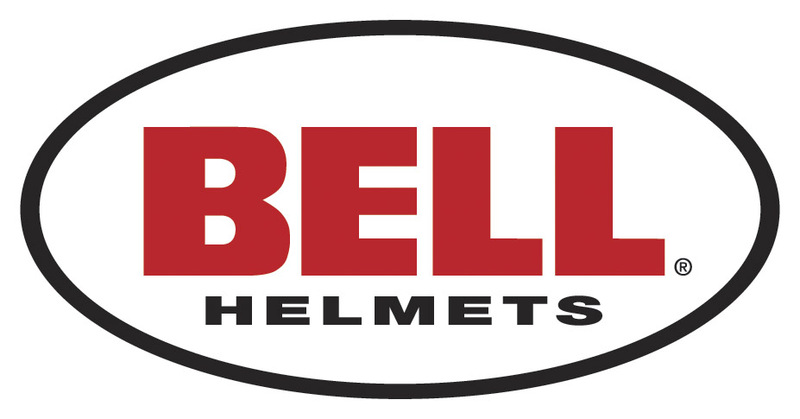 From Grand Prix racing through the Indy 500 to Olympic cycling, Bell helmets have played a vital role in protecting sportsmen and women for nearly 50 years." Andrew Hon. 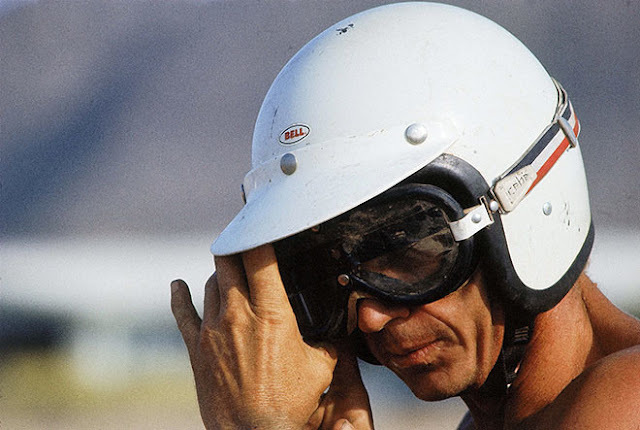 Bell helmets are were originally made in the USA and gained instant international acclaim once Steve McQueen wore one for his scrambling pursuits and Jim Clark became World Champion whilst also using a Bell. Now made in Italy as part of Bell moto helmets, the Bell motorcycle helmet brand continues to produce stylish crash helmets and on discovering the racy Le Mans M5X Limited Edition finished in white, red and blue, I knew I had to have one. Bell admit the shell is made out an 'ultra-light-multiaxial composite', which sounds reassuringly high tech. Whatever that may be however, in the recent SHARP impact resistance tests the aggressively styled M5X scored a full five stars and with the all important ACU gold sticker on the back, my new lid and I are destined for the track. Luckily, on trying the lid for the first time, I found the fit to be excellent- I wonder if this is due to my one quarter Italian ancestry? 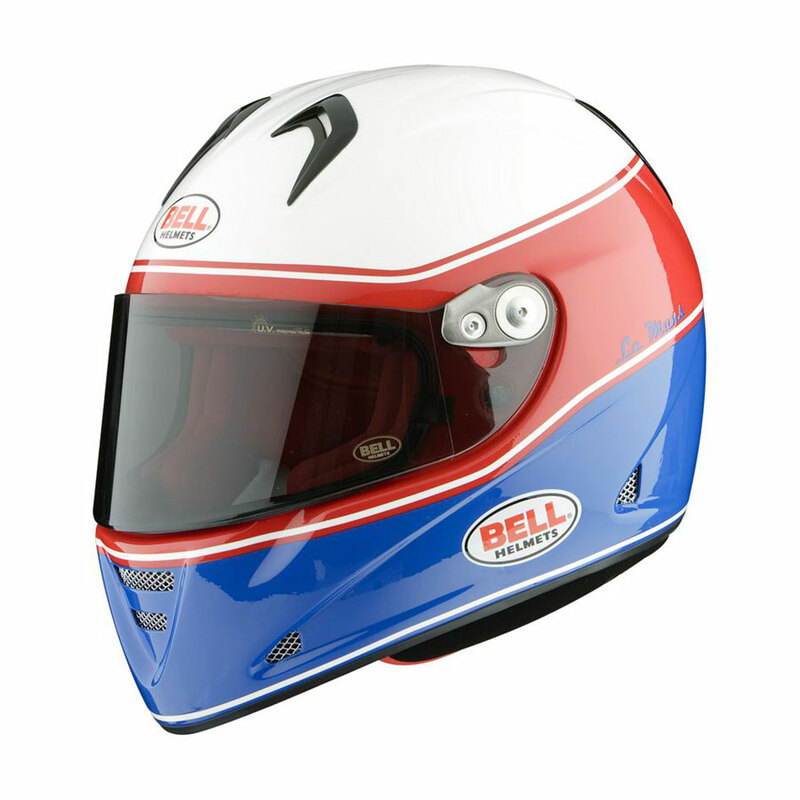 True or not, I fit a size Large in both Shoei and Bell brands. The sweat wicking lining is removable and washable and the collar is made of a strange velvety neoprene material, which goes almost unnoticed against the neck. 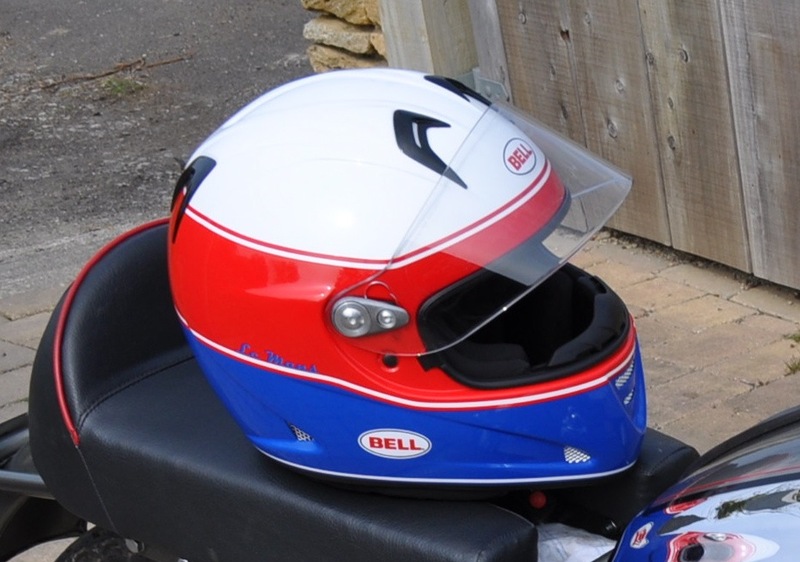 As soon as I tried the 1200g Bell M5X on the road, I enjoyed the lack of weight and generous air flow but suffered from a considerable increase in wind noise over my previous, winter glove-like Shoei XR1000 -I must remember my ear plugs next time. Many reviewers seam very taken with the Pinlock visor system, but I can now safely say that through using a helmet with improved ventilation, the Pinlock set-up seems like prevention rather than a cure for misting issues, unless you ride a lot in winter. The relatively high chin guard vent on the M5X is simplicity itself, allowing channels of cool, fresh air direct onto your face whenever you want it. The well placed, sliding vent is adjustable on the move and allows your visor to remain free of the vision impairing ridges that the Pinlock system requires. Talking of visors, the M5X comes with a thick 3.2mm Lexan offering which once closed creates a snug and secure seal between you and the rush of passing air. The extra thickness over many other helmet visors provides peace of mind when flying stones and other road debris become airborne. The thick visor, low weight and high ventilation to noise ratio determine the M5X as a short journey or race helmet only, which is the reason I chose it. The 'old faithful' Shoei however, will remain as my long journey companion in the interest of preserving my hearing.